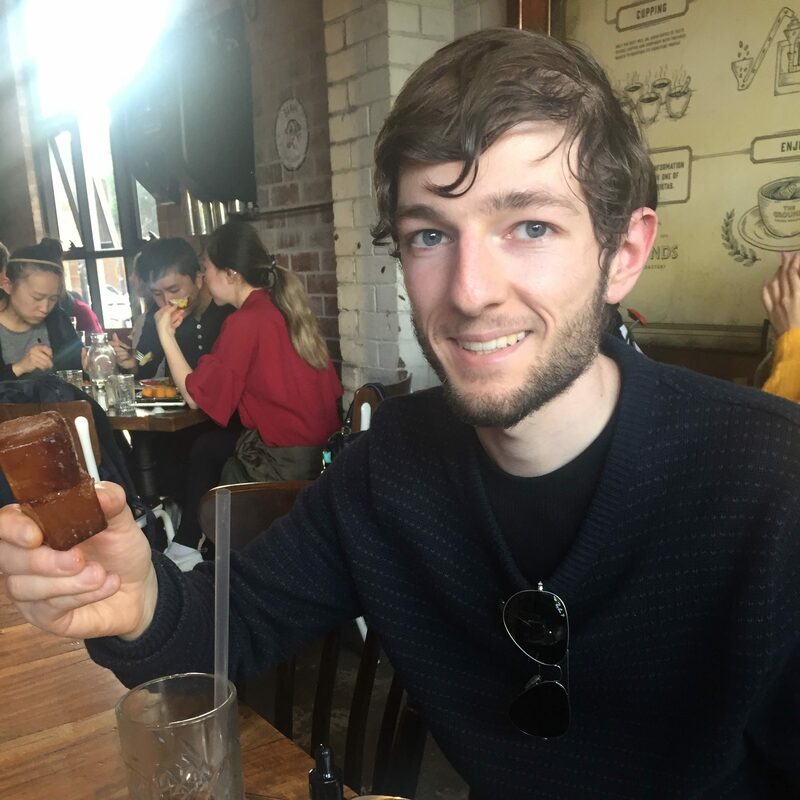 A few weeks back I gave a presentation to a group of healthcare professionals on my journey with type 1 diabetes technology, and how it has helped and hindered me. You’ve probably seen bits and pieces of this talk scattered across various blog posts, but it was nice to put this all into one piece of writing. Strap yourself in – this is a long one! I was one of the privileged few who got to join the diagnosed-a-few-weeks-before-turning-18-club. I was midway through my first semester of uni, working my first real job, and driving with my Provisional license. Until type 1 diabetes came along in May 2010. For the first six years, I managed my diabetes on Multiple Daily Injections. This meant one shot of Lantus insulin for my basal every night, and Novorapid injections with my meals. Injections were frustrating. I never felt I could get my Lantus dose quite right. Although I had learned to carb count, I lost the motivation to do it, because I never really saw any results. I was guessing most of my insulin doses, and there were lots of exhausting lows and highs. Injections were inconvenient, especially when I was out. I often found myself putting off corrections, and giving my insulin doses after a meal was over. I kept blaming myself for what I ate. I often felt riddled with feelings of guilt, and kept telling myself that I would snap out of my rut and get back on track with my management. But diabetes just felt very overwhelming, and impossible to manage. Back then, blood glucose meters didn’t have all the bells and whistles they do today. Meters didn’t have USB ports. I had to keep that dreaded paper logbook of levels and insulin doses. It was an absolute pain to have to stop and record my levels, on top of all of the other diabetes management tasks. I often found myself filling in weeks of missing data prior to clinic day, and even fudging some. When my diabetes educator pointed to a spot in the logbook and asked me what happened here, Frank? I was left scratching my head trying to remember. In 2015, I ventured online. I began writing my blog, Type 1 Writes. I began connecting with other people with diabetes through social media, and watched them share their experiences so candidly. I began reading more about diabetes, and developed a genuine interest in it. I no longer felt so conscious about having type 1 diabetes, but rather more motivated to better manage it. Online, diabetes technology was often the hot talk of the town. A lot of people in the Diabetes Online Community used, and were passionate about technology. Here I was thinking pumps were only for young kids, or for people who were having a harder time with diabetes than I was. My diabetes management wasn’t very crash hot at the time. The public system of care pushed me towards self management as soon as I was able, and I had lost touch with my diabetes educator for some time. Although my hba1c was sitting in a range that was considered “satisfactory” by my endocrinologist, I wasn’t happy. I knew that it was riddled with lows and highs. I didn’t feel great. I knew that I could do better. I couldn’t keep cruising along, and needed to speak up for what I wanted. 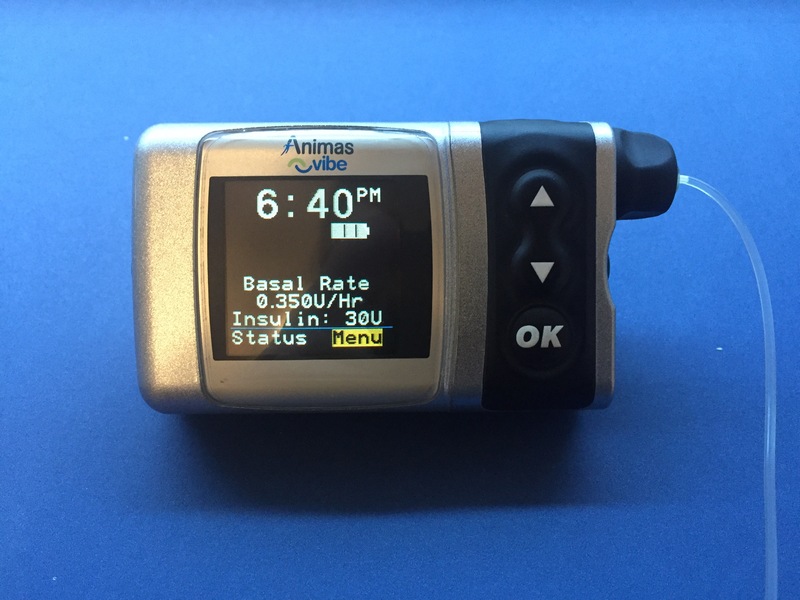 Towards the end of 2015, I began to consider an insulin pump. I went to an information evening hosted by Diabetes WA, and later got back in touch with my diabetes educator to discuss it. 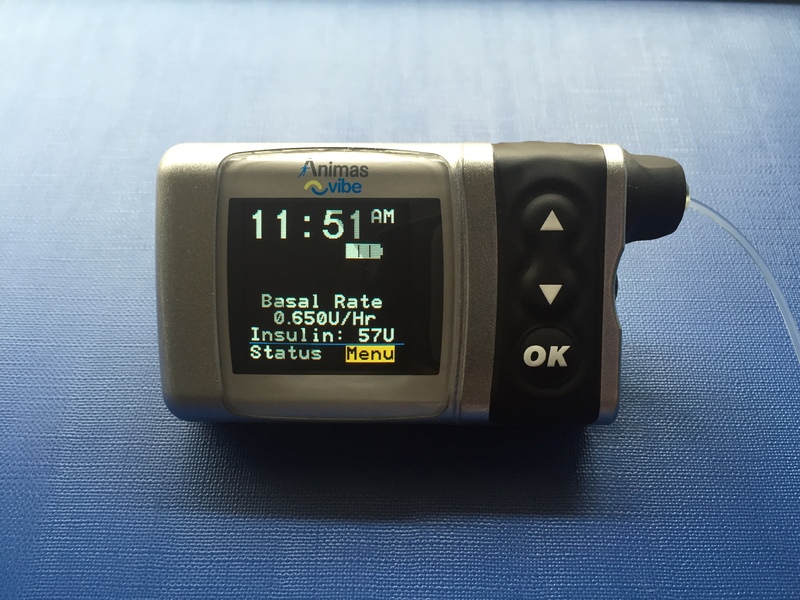 The decision to switch to an insulin pump was not something that I took lightly. 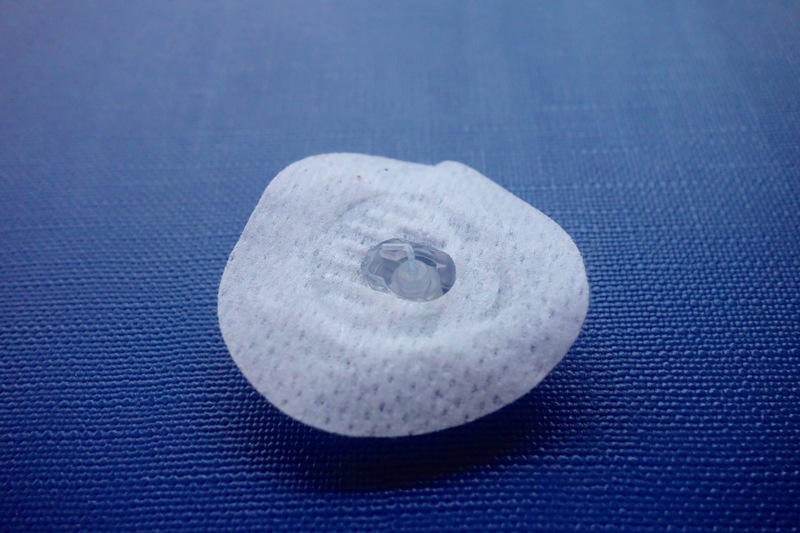 I knew that a pump wouldn’t simply fix all of the problems I had with my diabetes. It would be a big responsibility. I was expecting a steep learning curve. And I knew that there was a greater risk of going into DKA. I can still remember my diabetes educator asking me if I wanted to get the process started during that first session. Instead I decided to think about it, and made the decision at our next appointment in three month’s time. Starting insulin pump therapy in May 2016 was like building the foundation that my diabetes management had been missing for so long. There was the potential for so many more things to go wrong with a pump. Insulin cartridges needed to be filled and replaced every couple of days. Infusion sites needed to be changed, and rotated around on my stomach, every three days. Pump batteries need to be changed when the alarm sounded. I had to keep an eye on my pump line for air bubbles, that could restrict the insulin being delivered to me. I had to keep an eye on the infusion sites on my stomach for any signs of bruising or bleeding. Not to mention becoming comfortable with having a device attached to me while I sleep! Site failures were a big hurdle for me in those initial months of pumping. I was using a 90 degree infusion set with an insertion device, and dealt with a lot of anxiety every time I had to change it. After every new site change, I became really paranoid over whether it was a failure or success. I would poke and prod my infusion site, trying to blindly detect a kinked cannula sitting underneath my skin. I would watch the colour of the skin around my infusion sites like a hawk, looking for any signs of bruising or bleeding. I would stand on edge while my pump was delivering an insulin bolus, waiting to feel any stinging. I can still recall one tumultuous night where my blood sugar levels were soaring into the 20s, and no amount of insulin would bring them down. Hours later when my meter was showing ketones, I finally ripped out my infusion site to discover a kinked cannula. There were moments like these initially, where I was an emotional wreck. I just wanted to rip my pump out and throw it against the wall. There were a few low points where I seriously wondered whether insulin pumping was working for me. 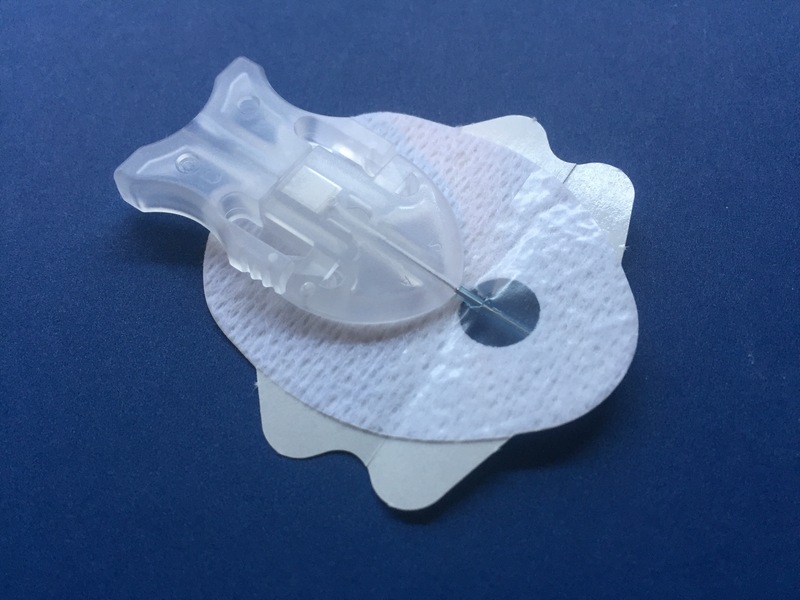 Thankfully, at the suggestion of some of my blog readers, I switched to an angled infusion set with a manual insertion, and the anxiety dissipated. A well tuned basal and bolus regimen is the foundation to successfully managing type 1 diabetes. That was probably my biggest challenge in those initial months on an insulin pump. Setting my basal, or background rates of insulin, involved conducting what is called a basal test. This involves fasting over a six hour window, and evaluating how well the rate of background insulin keeps me steady. This was an enormous task, particularly in the mornings where I needed more insulin to offset the extra glucose released by the liver. It required a great deal of patience. There were days where I couldn’t do a basal test, because my numbers were higher than ideal. There were days where a basal test was cut short by a low blood sugar. There were days where the tweaks just didn’t seem to fix the problem. And there were days where I simply couldn’t go without my morning coffee! It took me a good two or three months until my basal rates were finally 100%. Any healthcare professional will also tell you that you need to be able to count carbohydrates if you want to use an insulin pump. I’ve really surprised myself in that regard, because I was expecting that I would eventually slack off and go back to guessing. Yet today, I can’t imagine not counting carbohydrates. I continue to experiment with techniques such as timing of insulin delivery, and covering higher protein or higher fat meals. Smartphone apps like Calorie King are also a lifesaver for carbohydrate counts, as well as protein and fat. I was also fortunate enough to also have access to the FreeStyle Libre Flash Glucose Monitoring System when I started out on my pump. For the most part, the Libre was a replacement for fingersticks. 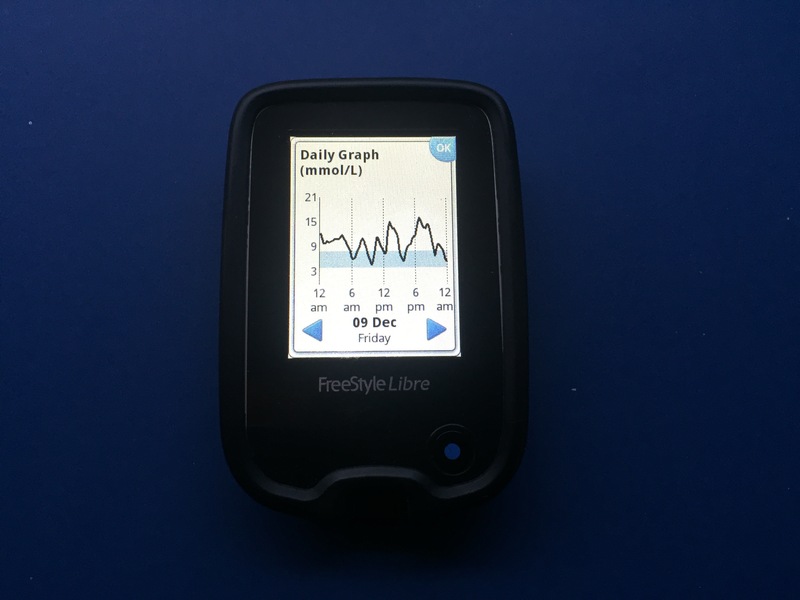 The Libre provided me with a glucose reading, an 8 hour history, and arrows indicating the direction in which my glucose levels were trending, every time I swiped the reader over the sensor on my upper arm. For my needs, the Libre was perfect. I check my blood sugar frequently throughout the day, so the Libre fitted the bill nicely in adding some convenience to that. I liked that the hardware was minimal, and that it didn’t use up a lot of real estate on my body. Bells and whistles such as alarms and data sharing aren’t as important to me, especially if it pushes up the price of the product. I guess where I have struggled the most is setting boundaries around Continuous Glucose data. I have found it easy to become obsessed with the data after wearing my Libre for too long. There have been times where my behaviour hasn’t been too healthy. I’ve found myself compulsively checking my levels while I’m sitting on the couch in the evenings watching television. The trend arrows are frustrating to see at times, and it’s hard to remind myself that they are only temporary. Against better judgement, I do tend to over react to the data, which sends me low far more often that I should be. Late last year, I reached a point where I looked at my graphs and realised that I wasn’t using the Libre as effectively as I did in the beginning. I thought to myself, am I checking my blood sugar because I need to, or just for the sake of it? Since then, I have decided that the Libre is not something that I can wear all the time. I prefer to use it for the purposes of fine tuning basal or boluses, when I need a break, or when I plan on cruising my way through all the Christmas food. I need time away from the tech, in order to be able to use it most effectively. Which brings me to good old fashioned fingersticks. 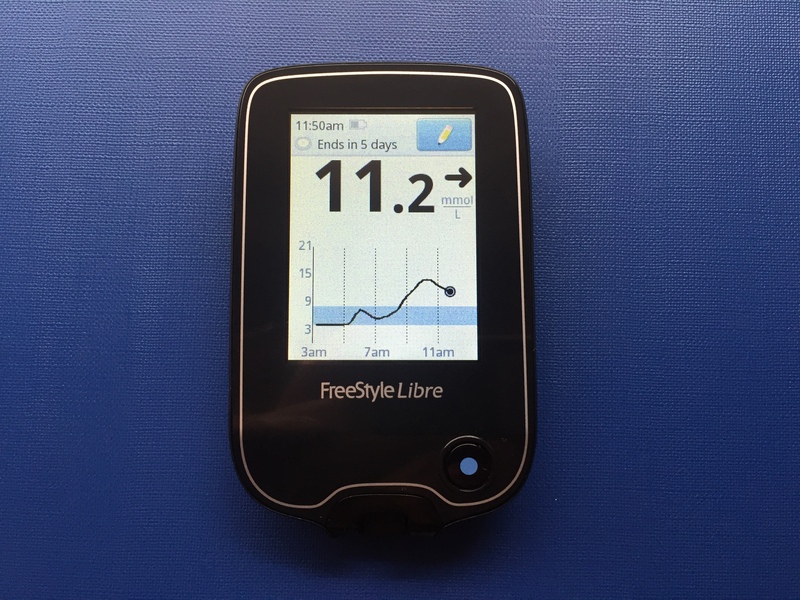 Traditional blood glucose monitoring forces me to think about whether I need to check my blood sugar, or whether I’m simply doing it because I can. I read the number, act on it, and move on. My head isn’t consumed by numbers so much, and my mood isn’t dependent on trend arrows. In fact, there have been periods where the numbers have been better than those on the Libre, simply because I’m not micro managing numbers. I love how far blood glucose meters have come since I was diagnosed. When I was first diagnosed, blood glucose meters weren’t as flashy or stylish as they are today. They were boring. Today, meters have backlights for testing in the dark, colour screens, bolus calculators, alarms, smaller test strips, smaller samples of blood, stylish cases and cooler lancing devices. There are Mum and Dad businesses selling stickers and accessories to brighten up our diabetes devices. Diabetes can feel so monotonous at times, that these small features really do help pep me up in my daily management tasks. There’s an old saying that goes something along the lines of “an insulin pump is only as smart as the person pushing the buttons.” I couldn’t agree with this statement more. Over the past year, technology has been a lot of hard work. In fact, it’s been harder work than Multiple Daily Injections. I can honestly say that I am still learning new things about insulin pumping today. I am still learning new things about my diabetes today. Technology was an investment that I needed to put the hard work into, in order to reap the benefits. I needed to learn how to use my devices properly. I needed to take responsibility for the maintenance of these devices. I inevitably had to go through moments of burnout and failure. Technology is not a solution for diabetes. Not everyone will be able to make this kind of an investment. 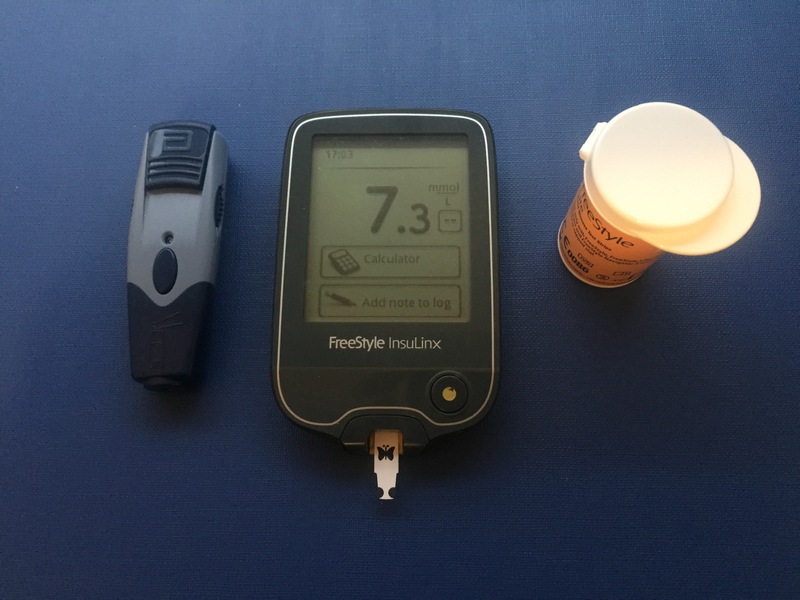 After seven years of borderline average diabetes management, I felt like I owed it to myself to give it a go and see if I could do better. I didn’t see the results overnight. In my first three months on a pump, my hba1c actually went up as I adjusted to using these devices. But I continued to put the hard work in, and I eventually saw the benefits. Today, I feel more confident with my diabetes management than I ever have. My numbers don’t go as high as they once did. The lows don’t happen as often as they once did. I can sleep through the night with steady, in range blood sugar levels – something I once thought was impossible. I was able to get my hba1c to where I wanted it to be. For the first time in my life, I’m proud of that number, because I know that it’s not riddled with lows and highs. And I’ve been able to maintain that number ever since. While the technology has certainly improved the quality of my life with type 1 diabetes, the hard work I put into these devices has helped me just as much. I spent two weeks disconnected from my insulin pump last month. It was honestly the best decision I could have made for my diabetes management in the long run. 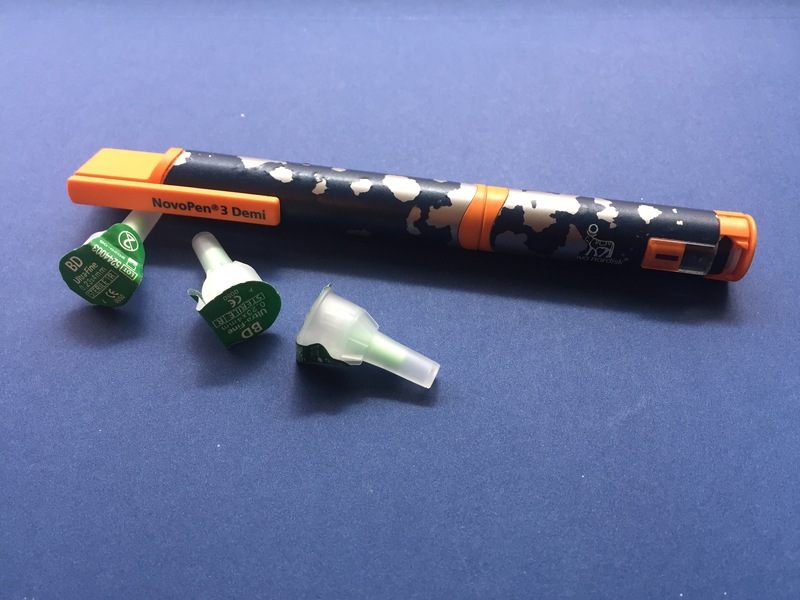 Going back to the simplicity of injections gave me some much needed relief from the stress the pump was inflicting on me, as well as a lot of time to reflect on how I wanted to manage my diabetes going forward. With a much clearer head today, I will add some more to what I wrote about this pump break last month. As we were heading into warmer weather and the festive season towards the end of last year, I was spending a lot more time being physically active. Watering the garden, Christmas shopping, setting up Christmas lights and activity around the house. Suddenly, a lot of what I had learned and experienced over the past few months from using an insulin pump had changed. Being plugged into rapid acting insulin all the time felt exhausting. I was going low all the time. Even simple things, like watering the garden, would send my blood sugars spiralling downward. I felt like a single day without a hypo was rare. I often found myself eating my way out of impending hypos, and trying to predict what my blood sugar levels were going to do to me before leaving the house. I felt really, really lost. I had very little confidence in my basal rates, or insulin to carb ratios. I had no idea whether it was my basal rates, or my insulin to carb ratios that were sending me low. I no longer felt safe leaving the house for half an hour without a meter and tonnes of skittles to fall back on. I’m pretty sure I had made the connection between physical activity and my lows, but I just felt far too overwhelmed at the thought of fine tuning everything once again. I was nervously pacing up and down on a Friday night in December, deliberating over a site change or a Lantus injection. I was equally scared about going back to using Lantus, given how uneven and inconsistent it had been for me in the past. What finally got me over the line was telling myself that insulin pumping was no longer working for me. I knew that it was the source of all of this frustration, and that I didn’t need to use it if I didn’t want to. The days that followed were quite honestly the happiest I’d felt in several weeks. The freedom from that annoying chunk of a pump, and the relief from not having to stress about basal insulin sending me low from a short walk. I was honestly so happy at the time, I was convinced that this might be the way forward for me. I was so relieved, I kept telling myself how much better injections were compared to the last few weeks I’d had on the insulin pump. I went from having days like this. To having days like this. I anticipated I’d probably only last a few days without my pump. But injections were going surprisingly well for me. Everytime I stared at my pump, I just knew that I didn’t feel ready to hook back onto it. At the one week mark, I even stashed it in a drawer because I didn’t want to look at it. My pump break gave me some much needed time to clear my head. I plugged back in for a few days over Christmas, because I knew that I would need the temporary basal rates and extended boluses to help me cruise through all of the food. I was fully prepared to take it off again after Christmas, but quite honestly I haven’t felt any desire to do so since. I’ve been setting temporary basal rates around physical activity, and they seemed to do the trick from the get go with minimal hiccups. I’ve been setting a -30% temporary basal rate before I get into the car to go to the shops, and switching my insulin delivery to “off” for half an hour if I go for a short walk around the block in the afternoon. I think I’ve had about 2 or 3 hypos in the New Year, which is not only a big relief, but tells me that I must be doing something right. If it weren’t for Christmas, I’m not sure whether I would still call myself an insulin pumper today. In those two weeks, I was absolutely fine with the possibility of going back to injections permanently if that was what worked best for me. At the moment, things are travelling well with the pump. Things are making sense once again, and I honestly have not felt any desire to be without it since Christmas. What I have learned, however, is that I absolutely will not hesitate to take a pump break if the need arises again. I was staring at the infusion site on my stomach that needed to be changed on Friday night, and all I could think to myself was I really don’t want to do this. I thought about the stressful week I had just had. I thought about all of the running around I’ve been doing lately, and the hypos that accompanied the running around. Spontaneous activity is so friggin hard to plan for. How can I possibly guess when I’m going to get the urge to vacuum my bedroom floor, fiddle around with the Christmas lights that have fallen, or water the garden – and set a temporary basal rate an hour in advance to stop me from going low? This was hardly an issue on Multiple Daily Injections. It was 37 degrees on Friday, and the pump just added to the hot weather discomfort. That lump in my pocket was a cozy comfort during the Winter, but now it just annoys me. Every time I sprawl out on the couch, or lay down in bed, its there. Every time I have to stop and tuck the excess pump line back into the waistband of my shorts, only to have it emerge again soon after. Every time it weighs down my shorts with all of the other crap I carry around when I leave the house, and I’m left pulling up my pants every five minutes. I’ve definitely been cruising a little more than I would normally allow myself. Hello, December. I had two iced coffees last week. At 69g of carbs a pop, it’s not something I can usually justify consuming, especially being in liquid form. I’ve been treating myself more often than I would usually allow, and carb considerations cross my mind less often than they usually do. Maybe a break would give me time to refocus? I love my insulin pump. I love the added precision, and extra flexibility that it allows. Having an insulin pump has really motivated me to more actively manage my blood sugar levels and count my carbs. In seven months, I don’t think I’ve ever seriously considered abandoning my insulin pump. But I was already daydreaming of being free from my pump. I was excited by the idea of shaking things up and doing something different, in the same, refreshing way that going Libre-less was. I have learned so much about my insulin dose requirements since starting out on a pump, and I couldn’t help but wonder if I could apply this logic and newfound diligence into Multiple Daily Injections a second time around. With Christmas just around the corner, I doubt that this pump break will last very long. But for a few days at least, I will savour the freedom of not having to feel for a flying pump every time I get up off the couch, and the extra space in my pockets.